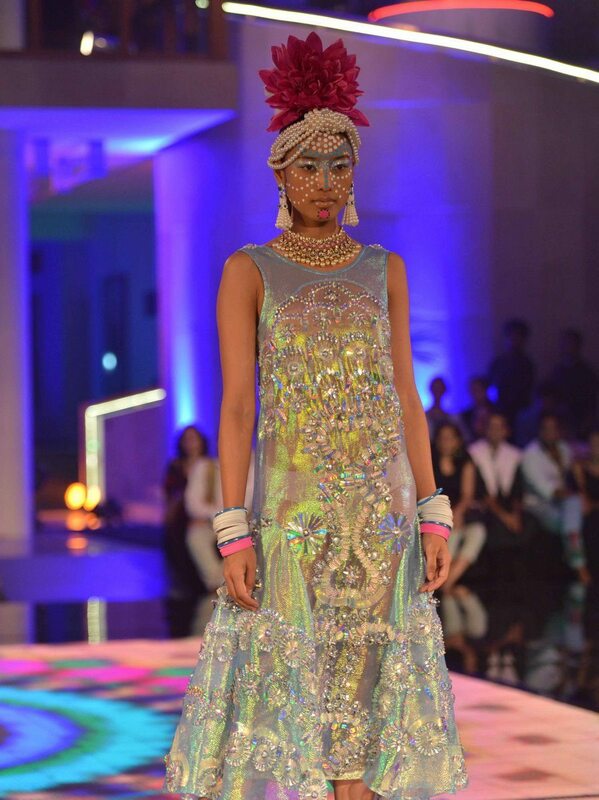 Manish Arora displays eccentricity via his Kaleidoscope haute couture collection. 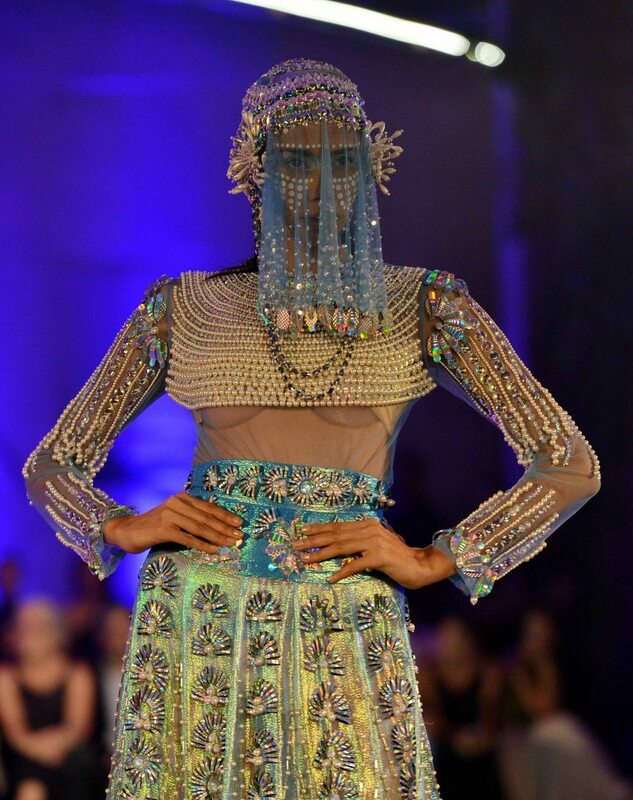 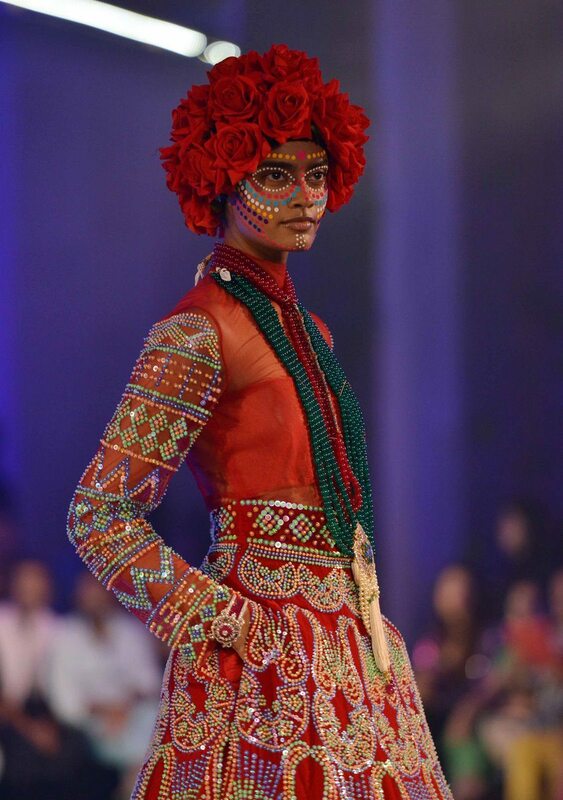 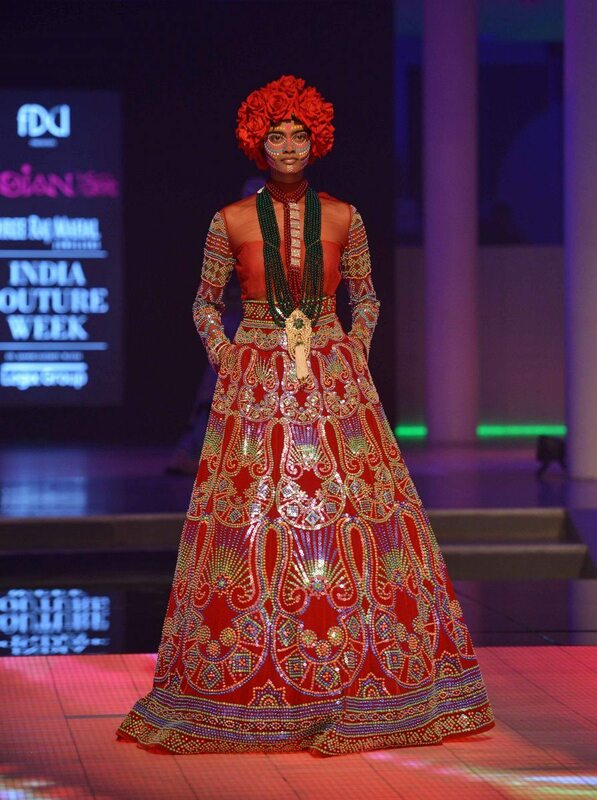 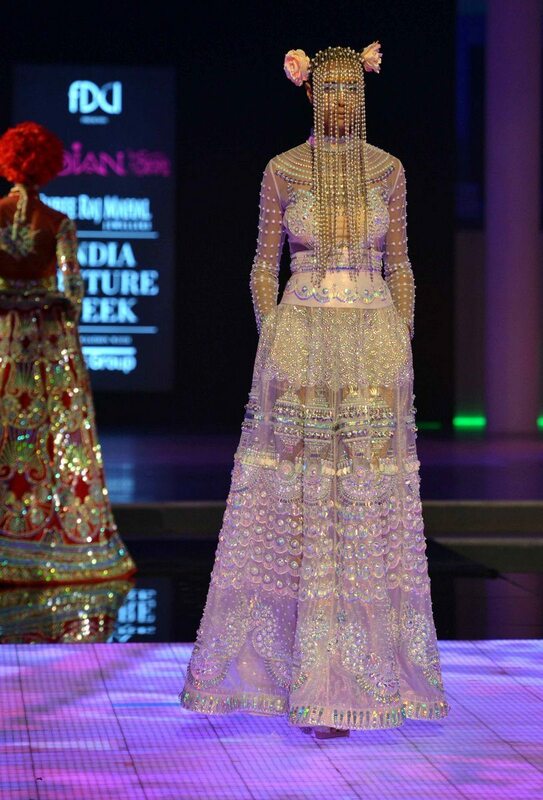 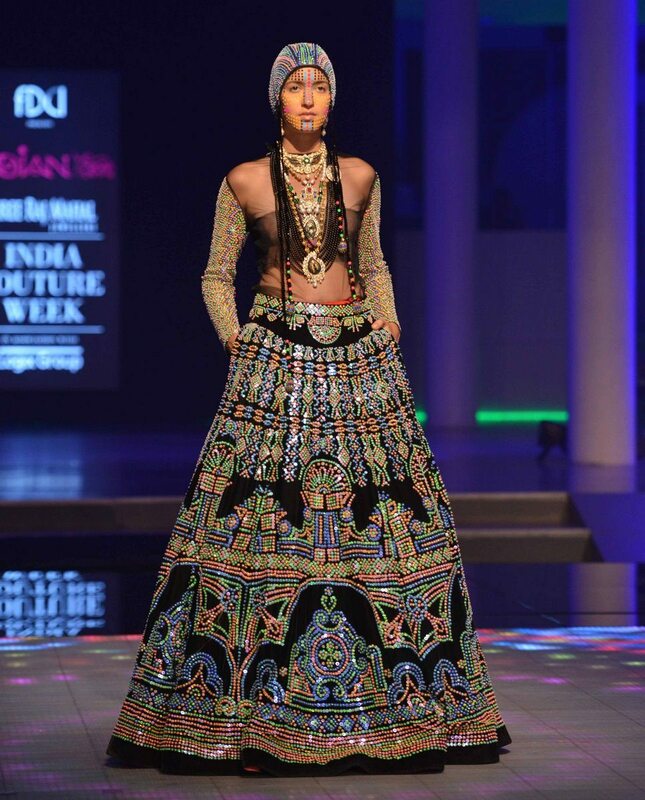 Fashion designer Manish Arora presented his ‘Kaleidoscope’ line at the ongoing Shree Raj Mahal Jewellers India Couture Week 2014 in New Delhi. 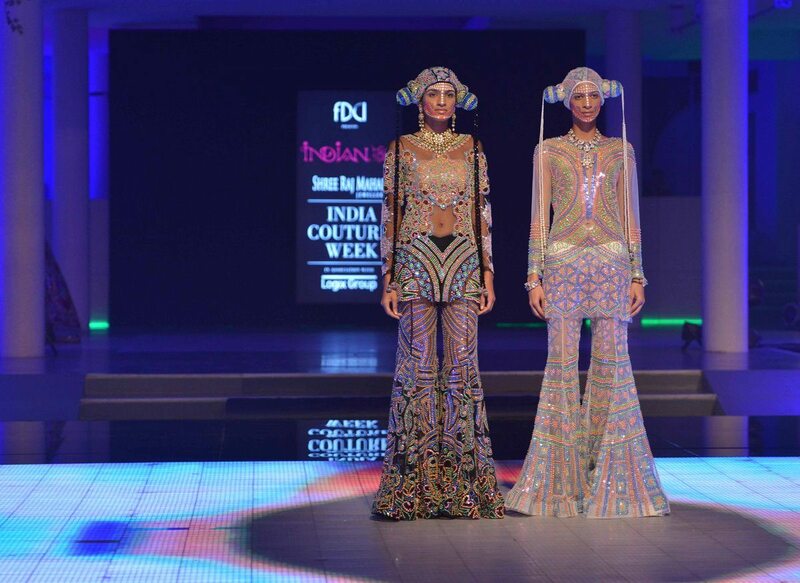 The execution of the collection was a visual spectacle for all couture lovers, the line’s psychedelic colors blended with Arora’s quintessential kitsch motifs made for a completely bizarre, but eye-catching show. 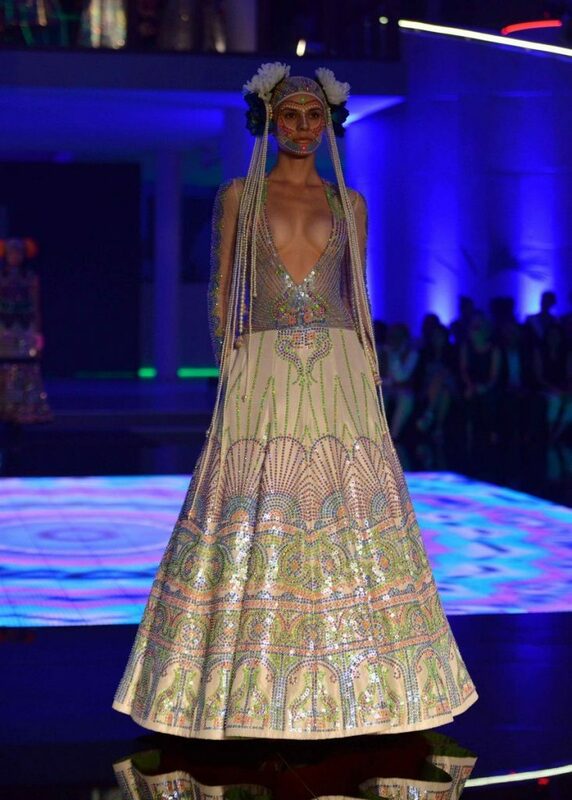 The designer is said to have drawn inspiration from the ‘Peacock Room’ in Castello di Sammezzano in Italy’s Tuscany region. 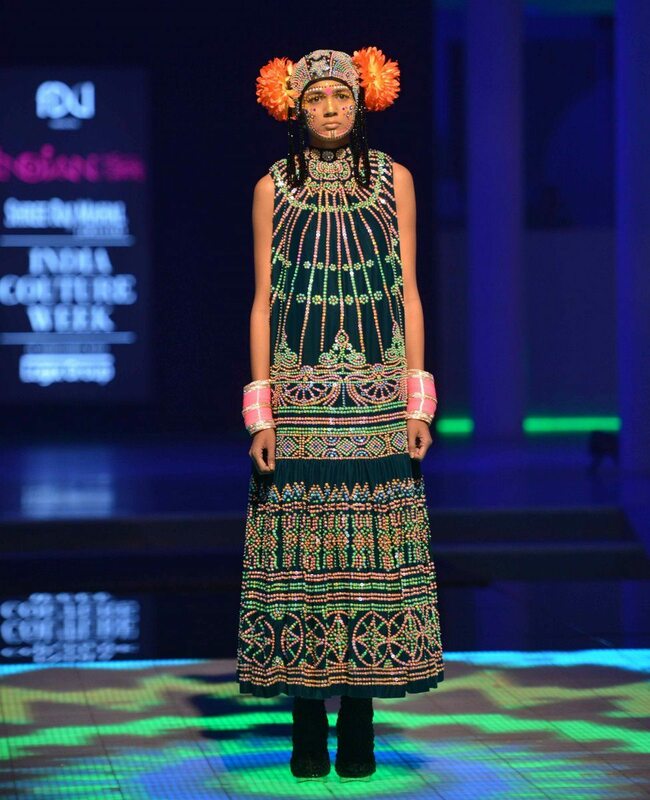 Bright neon colors, multicolor stripes, gold rexine embroideries and 3D highlights, all culminated into the one-of-a-kind fashion experience.